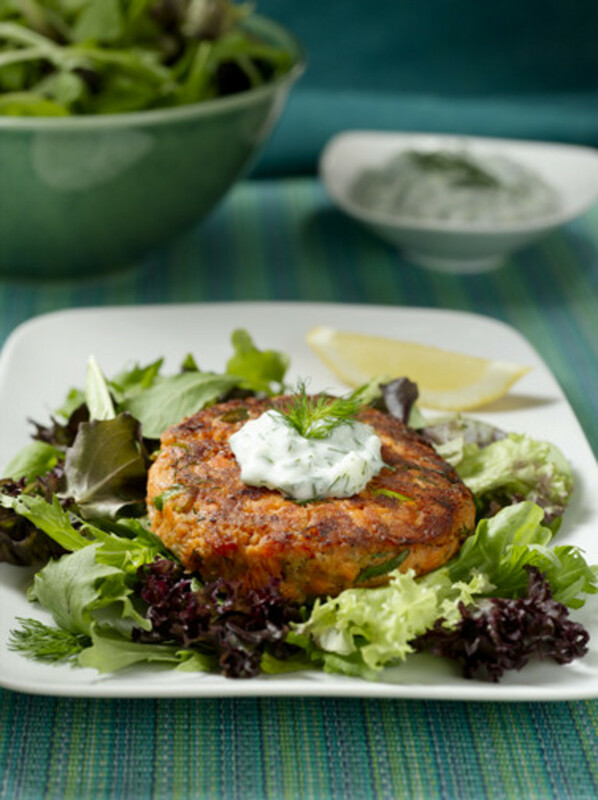 Salmon burgers offer a host of opportunities to create the comfort food that makes memories. How often have we heard from customers, “My grandmother used to make salmon cakes, and I loved them!” This one recipe we like on the boat. We buy large cases of lemons to take to Alaska. Fresh lemons last surprisingly well, and add a nice touch to boat cooking. Combine all ingredients and form into cakes. Refrigerate at least 1 hour or up to 1 day. Preheat oven to 375 degrees. Heat oil in your favorite frying pan on medium high heat(we like cast iron). Once the oil has heated cook the burgers on each side until golden brown and transfer into the oven and cook for 10 more minutes. On toasted bun spread freshly made garlic aioli and place a small amount of fresh arugula and a burger patty. Add any other condiments you prefer; fresh heirloom tomatoes or red onion would both be delicious. Combine the garlic, egg, lemon juice, parsley, salt and pepper in a food processor or blender and puree. Add the oil in a slow stream and continue to process until the mixture has formed a thick emulsion.